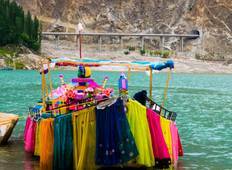 Find a Adventure trip that explores Pakistan. There are 18 tours to choose from, that range in length from 6 days up to 23 days. The most popular month for these tours is July, which has the most tour departures. "Great service, great experience.Will do it again.The first time was big success"
"My tour with exploria was one of the bestest in my travel history .. extremely secure..."
"It was an amazing experience with Altaf from Crossroads Adv. He was very informative..."
"Amazing trekking amidst the most impressive mountains in the world. 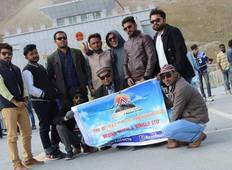 You walk for..."
"It was great experience with Azan Tourism. We enjoyed a lot. We were with family...."
"Overall experience was amazing and worth the cost Exploria charged. You should operate..."
"In April 2018 I visited northern Pakistan. My guide Altaf Ahmed organized a great..."